asks « how much for a drink ». 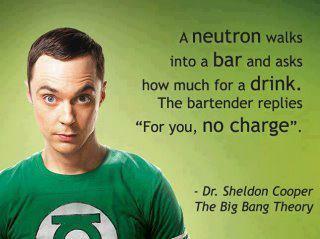 The bar tender replies « For you, NO CHARGE« . – Dr. Sheldon Cooper, TheBig Bang Theory.